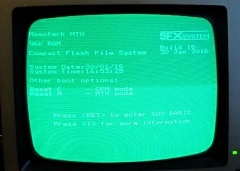 SFX was intended to be a development of CFX, which itself was spin-off of the Compact Flash storage system developed for MTXPlus+, our modern day, fully compatible, MTX "super computer". 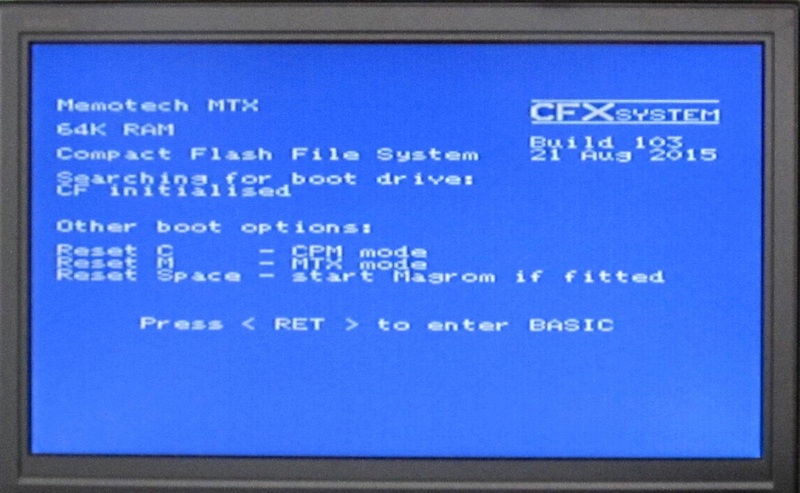 For full details of the development and features of CFX, see the CFX project page. The idea for SFX came about when someone asked about adding a software menu to make navigating the few hundred files in the Compact Flash primary partition (the B: drive) a little easier. 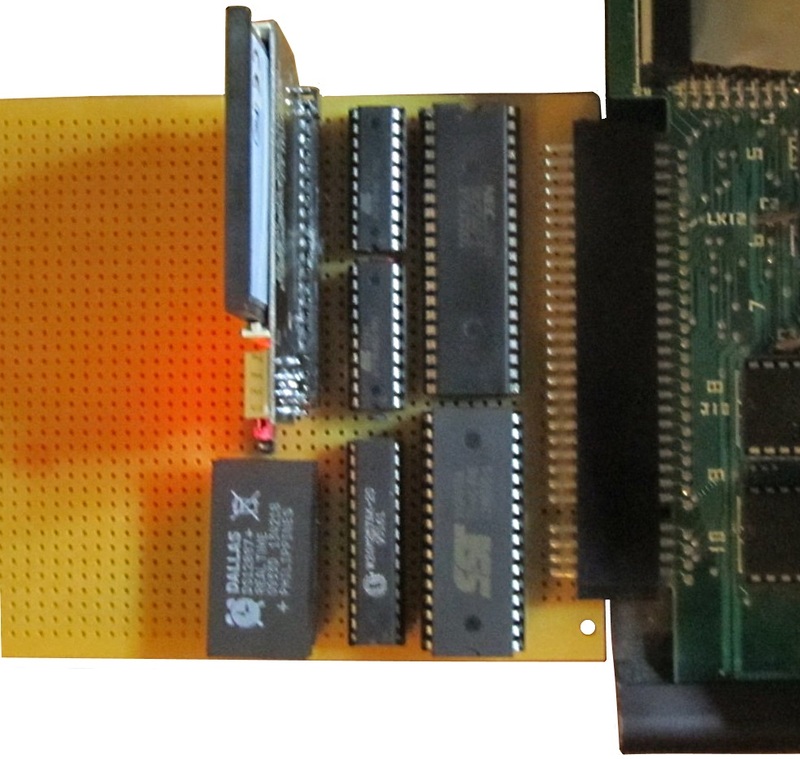 Although we did not actually do anything with that idea, I wondered whether we could enhance CFX by squeezing MAGROM, perhaps with a reduced number of games, into the CFX Flash to make loading many games even easier than just adding a software menu. Martin's initial reaction was that there were no obvious technical barriers to doing it and he set about looking at the details. 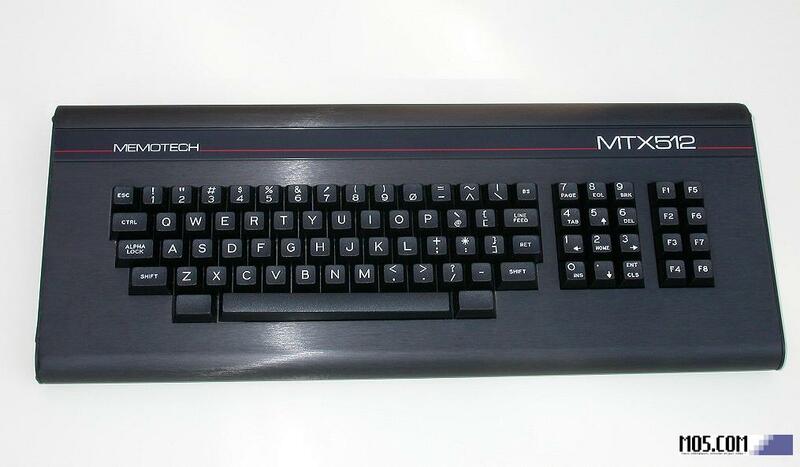 Martin also suggested that we could add 32kb of RAM in a narrow DIP package to allow MTX500 owners to increase the RAM to 64kb and thus be able to run CP/M. 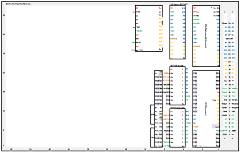 As the idea developed, MAGROM became an early casualty, we thought that the board space would be better utilised by the addition of the Real Time Clock from the MTXPlus+ design. The RTC we use in MTXPlus+ is a pretty bulky package, it has a 28 pin DIP-600 footprint, but is about half an inch high to accommodate the built in battery. 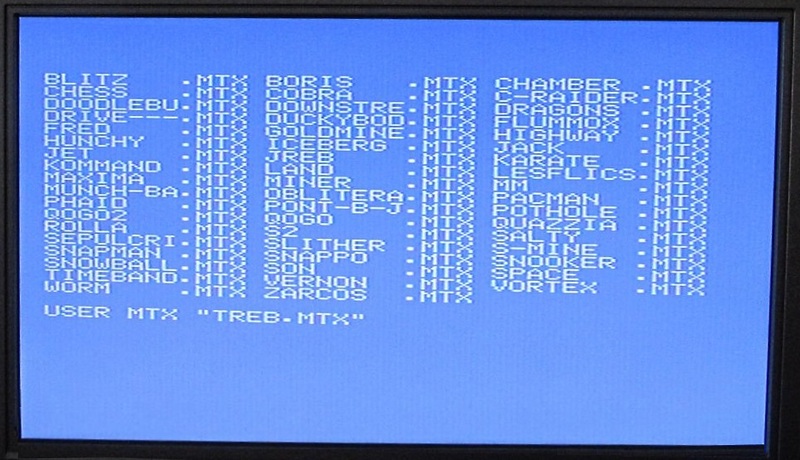 It is possible to use the Compact Flash in 8 bit mode which does not require the 82C55, Martin did some testing in 8-bit mode and found that the data transfer rate was about twice as fast as 16 bit mode. 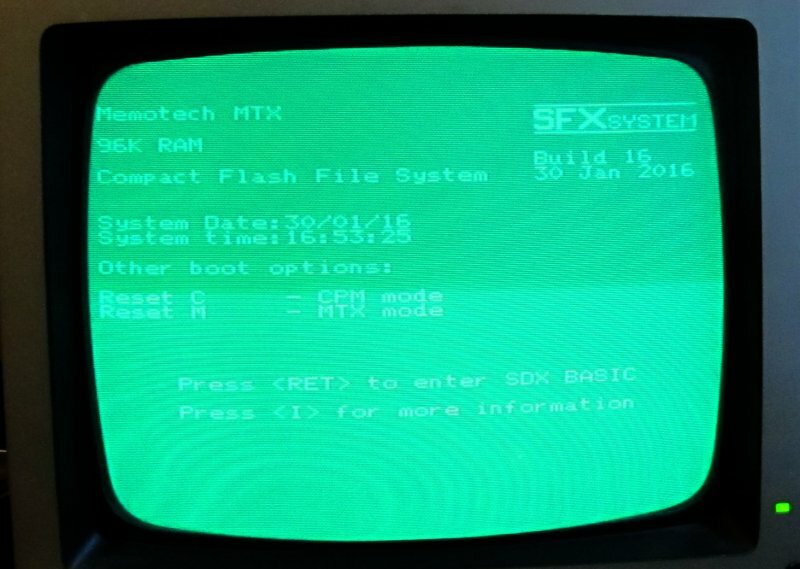 We decided to use 8-bit mode for SFX which would have been faster than CFX and reduce the component footprint, at the expense of 16 bit compatibility. While SFX was still at the concept stage, a couple of other enhancements were added. Martin and I had been discussing the Silicon Disk that was present in one of my FDXs and decided that adding a Silicon Disk to SFX was feasible, In addition, during Memofest 2016, Bill Brendling had demonstrated an 80 Column card add on for CFX based on the Parallax Propeller. 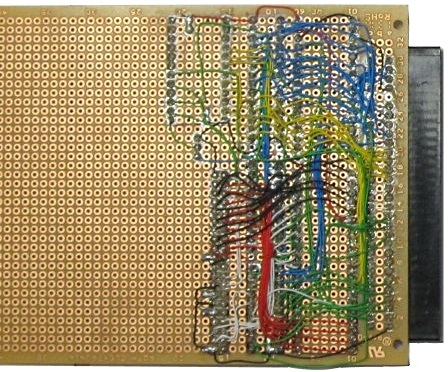 With the increased board space needed to cater for the Silicon Disk and 80 column card components, the RTC option was dropped. 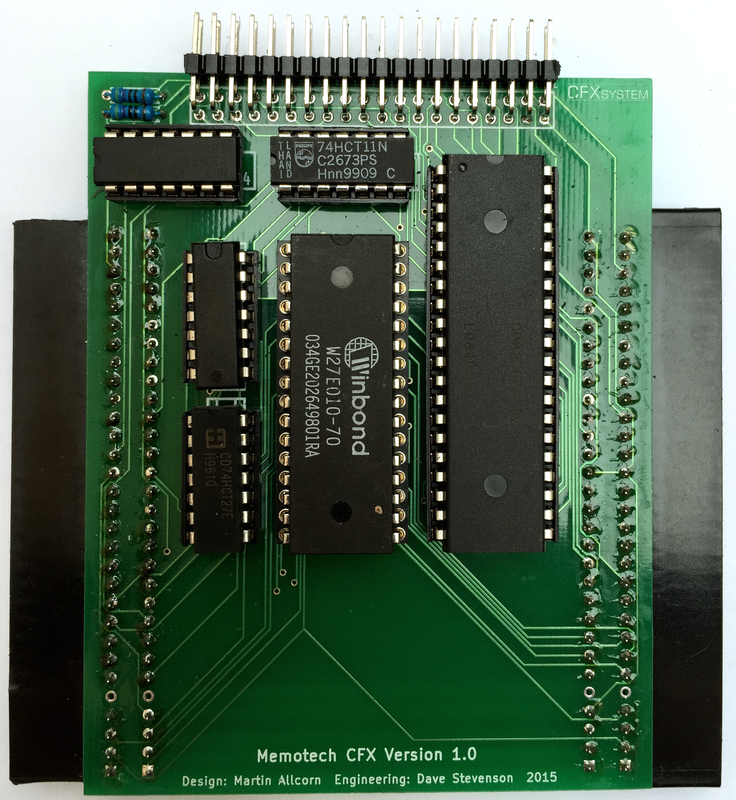 As the design progressed, it became clear that we were really working on an enhanced CFX, rather than a completely new idea, so the SFX name was dropped and we decided to rebadge the new design as CFX-II. The notes below describe some of the early work on SFX, this page is now obsolete, see the CFX-II page for details about the development of CFX-II. 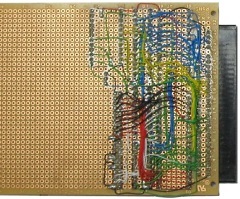 And few 74HCT chips performing simple logic functions (NOT, AND, NAND, NOR). 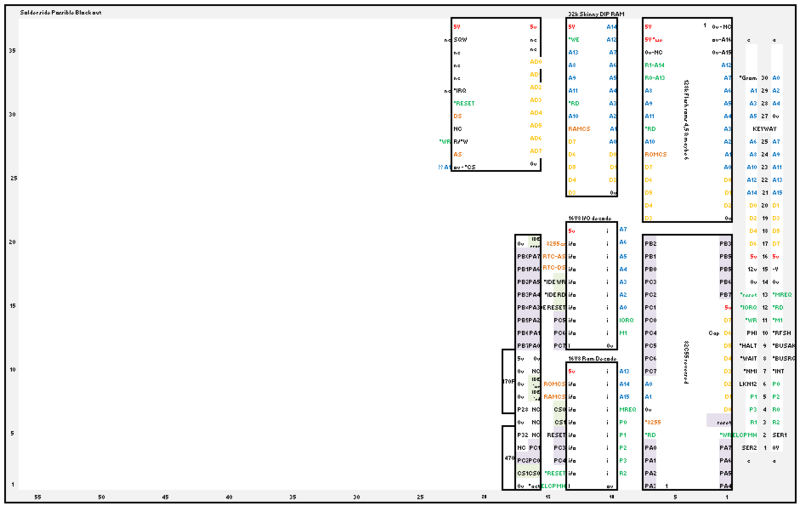 Version 0.3 of the prospective SFX design, incorporating a 32kB RAM, RTC, 82C55, 2 x GALs for I/O and Memory decode logic and 512kB Flash memory. 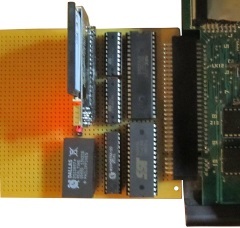 The Flash was to hold the SFX System, CP/M and SDX ROMs, with the remaining 480kB initially intended to be used to store MAGROM game files.